I have just got home from three whirlwind days in Uganda seeing the refugee settlement where I will be leading the first World at Play project in Africa. 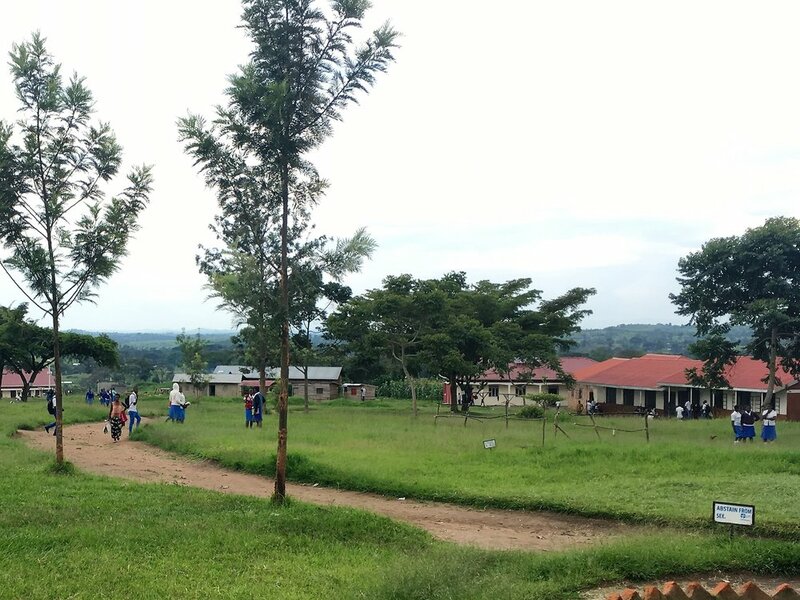 In February I’ll be returning with a team of seven volunteers to spend six weeks playing sports and games with children in the Rwamwanja Refugee Settlement. I was full of enthusiasm and excitement before this trip but now I just can’t wait to get out and get started. And I want you to come with me. Uganda has one of the most liberal refugee policies in the world. Refugees are given relative freedom of movement, equal access to primary education, healthcare and other basic social services, and the right to work and own a business. This generosity and the resourcing from aid agencies means that Rwamwanja is very well set up. We’ll be working in the only secondary school, a number of primary schools and a vocational college. But, this doesn’t mean they don’t need us. Young people make up 62% of the population of the settlement. That’s more than half a community made up of young people whose whole lives have been turned upside down. The secondary school you see here is expecting to welcome no fewer than 260 new students in the new year. They already have 600 on roll, only thirty staff, and limited classrooms - they need all the extra hands they can get. All of these institutions are bursting at the seams with young people hungry to learn and in need of some laughter and joy. Visiting the settlement made me even more certain that this will be an incredible and fulfilling project for us and for the young refugees we will work with. Uganda is ridiculously, breathtakingly beautiful. 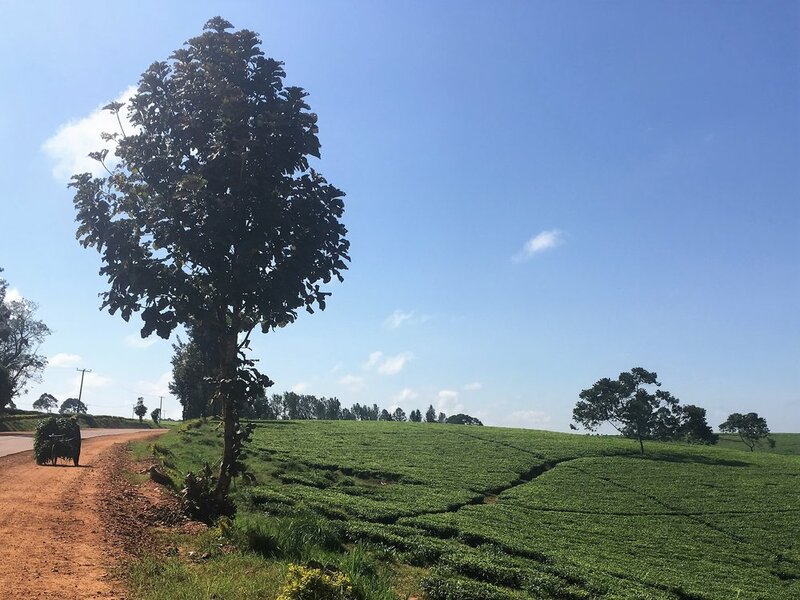 I only had three days there and I saw all kinds of landscapes -jungles, mountains, tea plantations, soaring trees draped with vines, miles of rolling hills and gorgeous rich red African earth. And that’s just on the drive to the settlement. We will experience a whole new lifestyle, food and culture. It won’t be easy, you’d better get used to the concept of cold showers, but it will definitely be fun and new. We will have some time to explore at weekends (I’ve already checked out the walking tours and safaris), and lots of time to meet people from all walks of life and learn about this extraordinary country. All this and you get to skip six weeks of winter, Uganda is deliciously warm all year round. I have reached a personal and professional cross-roads and I need a new challenge. I don’t think I’m alone in this malaise, lots of friends are seeking a new adventure at the moment. This project will definitely be a challenge. We will have to get used to doing without the luxuries that fill our lives. I don’t just mean Netflix, I mean reliable internet and flushing toilets. We will be working across a language barrier and with very limited resources, or none at all. The children we will be working with have faced extraordinary challenges and trauma. We need to be flexible, innovative and resilient. It will be tough and it will be amazing. I don’t know quite what lies ahead but I know I want to wake up each day excited about what is to come and go to sleep each night tired in that bone-deep satisfying way that comes from doing a good day’s work. I hope I’ve convinced you. We have just three places left on the team and we are hoping to have our full team in place by early December. You can apply here or get directly in touch at wendy@worldatplay.org.uk. Do it, you won’t regret it.